gives all information about OpenCL platforms and devices on the system. gives information on OpenCL platform and about its devices. 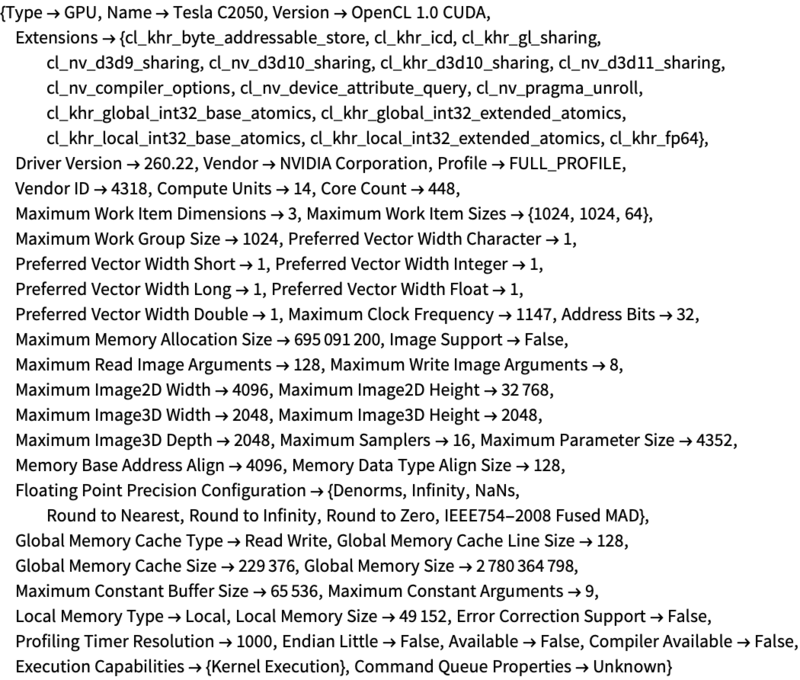 gives information on OpenCL platform property. gives information on OpenCL device with specified platform. gives information on OpenCL device property. See "OpenCLLink Setup" if OpenCLInformation returns with an error.